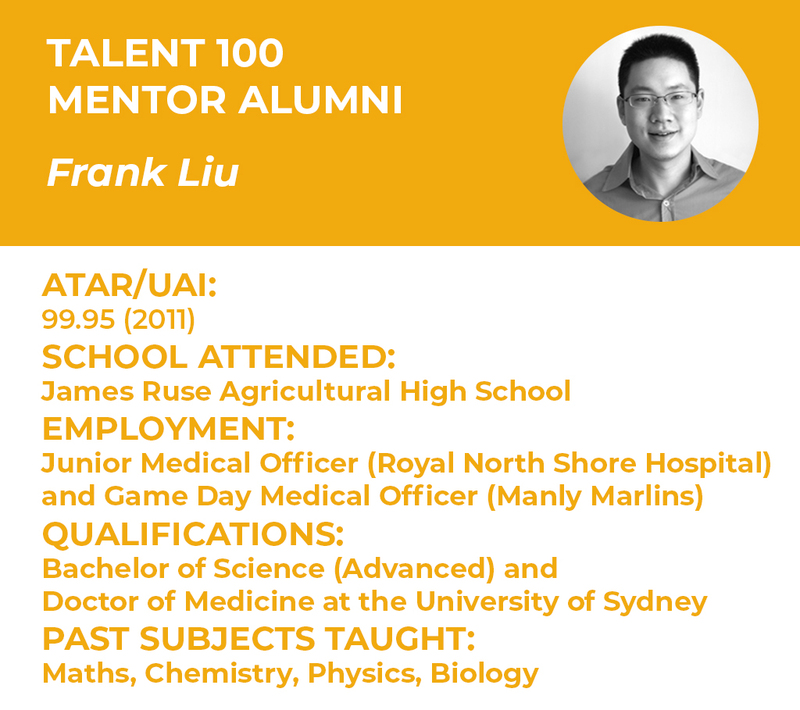 Here at Talent we’ve amassed a variety of Mentors which have taught and encouraged our students throughout the years – guiding them through the high school and into the HSC. We call our teachers and tutors ‘Mentors’ because they deliver more than simply theory. Talent 100 Mentors are all outstanding achievers, but it’s their passion for teaching and mentoring which matters most. Whilst an exceptional academic record is a must, our Mentors are also chosen for their ability to work with students of all levels and provide the pastoral guidance for future success. Dean’s List of Excellence in Academic Performance (2012, 2013, 2014). I intend on pursuing a career as a Sports Physician. I’m currently doing my medical internship at Royal North Shore Hospital and hope to get on the Sport and Exercise Physicians training program in the next three years. I also currently work on weekends for the Manly Marlins as their game day Doctor in the Shute Shield Rugby Competition. I have a strong passion for sport so the speciality of Sport and Exercise Medicine comes very natural to me. My dream job would be as Team Doctor for the Cronulla Sharks and tour all over the country. I met my childhood football hero, the captain of the Cronulla Sharks, Paul Gallen through studying Medicine. 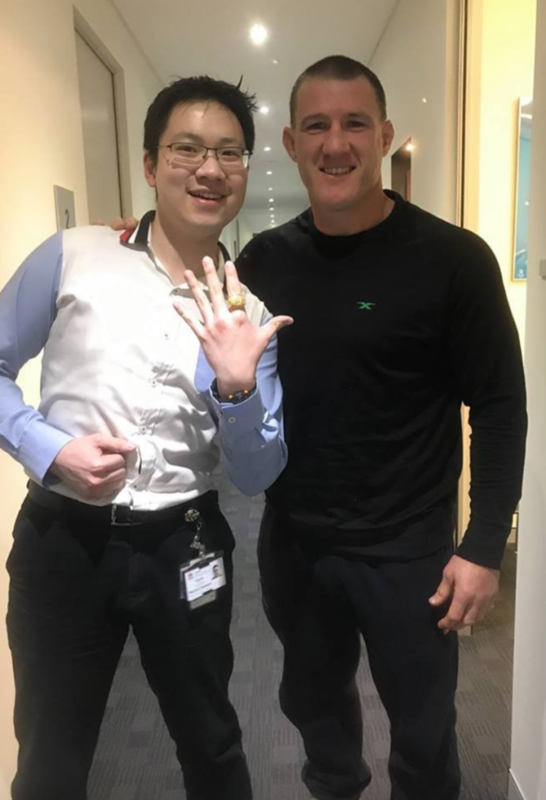 I attended a Sports Medicine Clinic with the Cronulla Sharks Team Doctor in 2017 and unexpectedly, Paul Gallen visited the clinic. It was certainly the greatest moment for me since I idolised Gallen as a kid! Frank with the captain of the Cronulla Sharks, Paul Gallen. 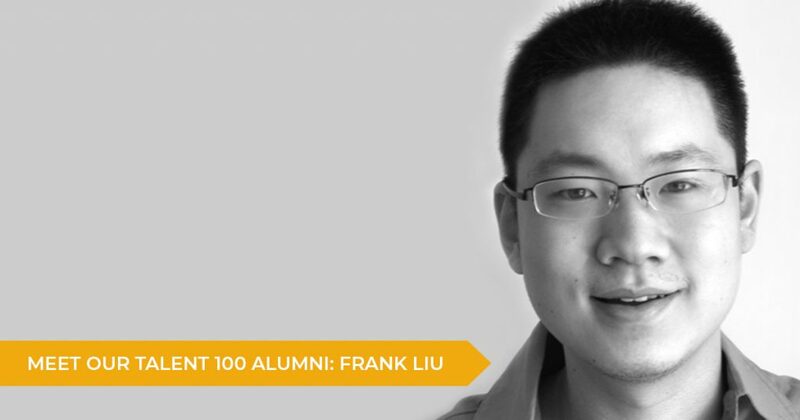 What’s been the most rewarding experience teaching at Talent 100? Teaching becomes so much more enjoyable when you have students who are willing to learn, and are determined to achieve high results. This creates an exciting atmosphere to work and assist students who are on their way to achieving their target ATAR, and leading them into their dream careers. My 7 years of teaching at Talent 100 gave me so much more than I could’ve asked for, and I am extremely grateful for all the wonderful people I have been privileged to have worked with. I found it especially satisfying to have been able to mentor so many students over the years through their HSC journey and maybe, just maybe, played a role in getting them that ATAR they wanted. 1. Never give up: When something seems impossible, never lose hope and always push through. 2. “Hustle, Loyalty and Respect” by WWE Wrestler John Cena never rings more true than the HSC. 3. You’re Welcome: You’ll remember information much more efficiently by helping others to understand the content. By telling someone else about what you’ve learnt, you’ll be reinforcing the key concepts and eventually master the knowledge yourself. 4. You can’t spell challenge without change: Be open to explore new learning techniques and routines. The next strategy you try might just be the one for you. 5. Yes! Yes! Yes! If this is the answer to: “Can I fulfil all the syllabus requirements?” then you know you’re all good to go for the HSC. Best advice a Mentor ever gave you? It sounds simple, but sure is effective. There’s only one way to the top in the HSC, and that’s to beat the people in front of you. Feeling inspired for your own post-HSC journey, do you need a little more motivation? Check out our 2 Week Free Trial offer over at our website. Click here to find out how you can learn from the brightest minds and be inspired at Talent 100.